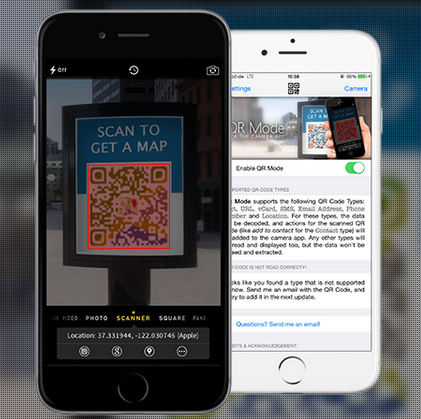 A QR Reader app can come in handy anywhere as a QR Code is used in many cases these days. Yes, there are plenty of QR Code reader apps available in the App Store, but wouldn’t it be easier if the stock iOS Camera app came with a QR Reader? QR Mode is a new Cydia tweak that adds an extra QR Code reader mode to the stock Camera app on your iOS device. Instead of using a third-party app to scan for QR codes, you can simply choose the QR Mode on the stock Camera app and read the code. It not only reads, but also shows a whole lot of information on the code in a very native iOS way. QR Mode also includes an in-built browser so you don’t have to leave the Camera app to check more on the QR Code. It also supports about 26 different languages such as Arabic, Croatian, Danish, Dutch, Finnish, French, German, Greek, Hebrew, Hindi, Italian, Korean, Malay, Norwegian, Portuguese, Romanian, Russian, Serbian, Simplified Chinese, Slovak, Slovenian, Spanish, Swedish, Traditional Chinese and Turkish. The tweak also provides a scan history so you can go back and check a previously scanned code. The best thing about QR Mode is how it blends into the stock Camera app and looks very native. You probably won’t have to download any other QR Reader app after using this. Unless you’re not jailbroken. 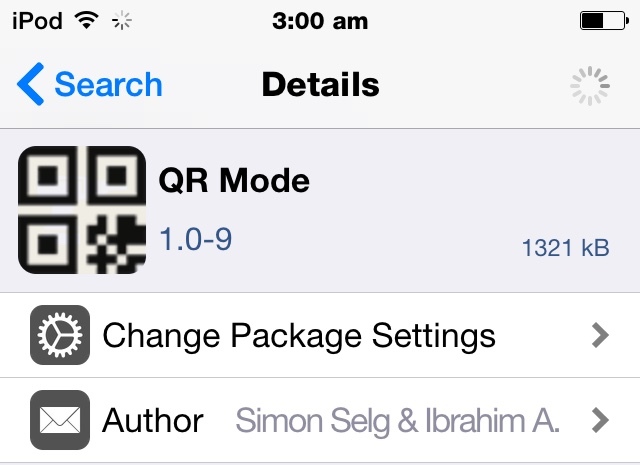 You can purchase QR Mode from the BigBoss repo for $1.99. The tweak only works on devices running on iOS 8 or later.